Many new authors struggle with writing marketable nonfiction books. In reality, it is a process of researching and planning content that will satisfy reader needs, wants and expectations. Fiction books typically revolve around characters, situations, plots and other real or imagined elements. Nonfiction books contain information based on people, issues, facts, data based on reality and actual events. This means that nonfiction authors have to do their homework to paint an accurate picture with facts, figures and real examples in order to interest readers. Keep in mind that nonfiction readers are normally not looking for entertainment. Among other goals, they are normally looking to get answers, solve problems or learn something new. After writing thirty-seven books, I have a process that I follow which helps me maintain a smooth flow while writing marketable nonfiction books. 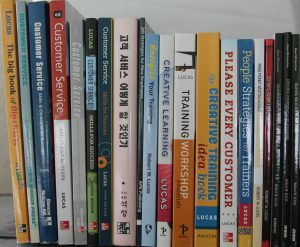 In addition to my other books, this process helped me craft a customer service textbook that has been the top-seller in the United States for almost nine years. It is currently #27 in Amazon’s top 100 sellers in the Customer Relations category and #45 in the Business Marketing category. Almost 200,000 copies of that book have sold since 1996. The process also helps me reduce the time required to write and the stress that often results from writing by helping keep me on task. The following are some suggestions on how to write nonfiction books effectively and efficiently that might help you. Start with a viable idea. Most people have numerous ideas every day. For example, they see a process that is inefficient and have an idea how to improve it or they experience poor customer service and recognize an opportunity to make it more positive. These types of situations are a perfect basis for a nonfiction article or book. When I get such ideas, I quickly jot them down on a note pad that I carry in my car or record them on my smart phone or other mobile device that I have with me. That way I do not forget the idea. When I return to my office, I transfer these ideas to my computer “idea” file. In the past I wrote my thoughts on paper and filed them in a manila folder in my file cabinet. When I have time or desire to write a new article or start a new book project, I go through my file to select something. In capturing your own ideas, make sure to jot down a tentative working article or book title, along with enough description to help you recall what you were thinking at the time. If is a book idea, I usually draft out a short bulleted list of potential chapter or subtopics that would go into a book. I also write a short paragraph or two of what might go into those chapter or topic areas. When I start writing, this bulleted list acts as a rough starting point that I’ll research further when writing marketable nonfiction books. Do initial research. Just because you had an idea, does not necessarily make it a profitable one. Before investing time and energy writing content for which there is a small reader audience, validate your thinking. You can do this easily by conducting on online analysis of the topic or title you are considering. Is there a lot of information already in print about it? If so, move on to a less competitive topic are. Check Amazon and other online bookstores to see how many books exist on the topic. Look at Amazon’s book rankings and check to see where a book stands in various book categories. The latter can indicate how well the book is selling against competing books. This can alert you to true competitors if you decide to move forward and publish your book on the same topic. Remember that your goal is writing marketable nonfiction books, not just putting another non-selling publication on the market. If you are self-publishing, the latter means money lost out of your pocket. If a publisher signs you and your book does not produce, you may find a challenge getting an opportunity to write a second book. Create a working outline. An outline is a roadmap for where you wish to go in developing your book content. You are not locked into the outline that you create and will likely modify and adjust as you proceed with your writing. Still, it is a good idea to have tentative chapter titles and content descriptions drafted out to help remind you of your direction. If you realize that content would work better under a different chapter heading, there is nothing stopping you from relocating it. Your goal is to create an end product that will satisfy your readers and stand out among the competition. Make content flow. As you write your content, make sure to provide plenty of headers and sub-headers to enhance readability. I am fond of creating categories in my nonfiction books. I also like to use tables, graphs, bulleted lists and other elements to break up the passages and enhance the book visually. I often get feedback from readers about the usefulness of this approach and how it makes a book more reader-friendly. Set a deadline. I know so many people who have started a book and when I see them years later and ask, “How did your book turn out?,” they respond, “I’m still working on it.” When I am writing a book, I put the finish date on my calendar and set an electronic reminder about a month before that date. Unless something pretty dramatic occurs, I work toward this date. Since my job is that of being a professional author, I recognize that paying my bills and generating income depends on successful manuscript completion. If you want to be a professional author, recognizing that you are in business is an important step towards being a success in the profession. Have a writing schedule. Whether you are writing full time or simply fulfilling a dream to get a book into print, you should take a disciplined approach to creating your masterpiece. When I am working on a manuscript, I try to write at least 3,000 words a day 5-6 days a week. To give an idea of how this looks in print, up to this point in this article you have read 992 words. Edit when you finish. It is too easy to get sucked into the edit-as-you-go pattern of writing. This is a waste of time, because you will find yourself rearranging and rewriting the same content multiple times. Get your ideas on paper by following an outline. Once you finish, go back and reread what you have written. Make notes in the margins as you go. After the read through, start restructuring and rewriting necessary areas. Set the material aside for a week or so and then do one last read through for spelling, grammar, syntax, punctuation and any changes you would like to make. Use a beta reader. When writing marketable nonfiction books, it is very important that you get a friend, colleague or other volunteer to read through the entire manuscript to give feedback on the overall effectiveness of your style, their reaction to the flow, and ideas for changes. They are not necessarily reading to edit grammar, syntax, punctuation and other common errors. You might ask a second group of volunteer readers to do that, as well as give feedback on the book content and flow. In effect, beta readers are helping fine tune the content and potentially catching things that they believe that you missed or did wrong. You do not have to institute all their recommendations, but having multiple sets of eyes read the document can improve the product immensely. Hire a professional editor! Do not use your cousin, who is a high school grammar teacher, or a friend who volunteers to edit for you because the or she used to write for their college newsletter. Use those people as your beta readers. The may have been successful at their respective jobs, but your goal is writing marketable nonfiction books. You need professional eyes on the document after you and several others have gone through the manuscript to make corrections. There are many types of editors. Choose the one that best suits your needs. At minimum, I suggest a copy editor to help catch errors and omissions. While editors add costs to the developmental process, a good one can help make your book more successful and enhance readability. 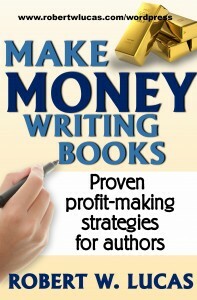 There you have it…a proven process for writing marketable nonfiction books. In addition to the process I have outlined in this article, there are additional steps to consider if you plan to self-publish your book. You can search this site and other online resources for information on that topic. What suggestions for writing marketable nonfiction books can you share with readers below? This entry was posted in Book writing strategies, nonfiction book writing, Nonfiction writing tips, Success tips for authors, writing a nonfiction book and tagged the process of nonfiction book writing, writing marketable nonfiction books, writing nonfiction books that sell. Bookmark the permalink.